Ford will unveil the new Focus at the Geneva Show to be held next month. The car is said to have an emotive exterior design, new interiors and better fuel economy figures than the outgoing model. The new Focus comes with the One Ford global design language. The front gets a new bonnet, long and sleek bi-Xenon HID headlamps, rectangular fog lamps, lower - wider stance than the existing model and a trapezoidal grille which is seen in almost every new car to come out of Ford's stable nowadays. The side gets a distinctive shoulder line, bold wheel arches and mirrors with integrated turn lamps. The posterior gets new thinner tail lights which stretch a long way back to the side of the vehicle adding to the sleekness. Deep impact blue and glace blue are the two new exterior colours on offer. The interior feels less cluttered than the old model with reduced number of switches. There is a new satin black trim and chrome embellishments. Ride is claimed to be much quieter thanks to thicker carpets, thicker window glasses and improved insulation from the engine bay. 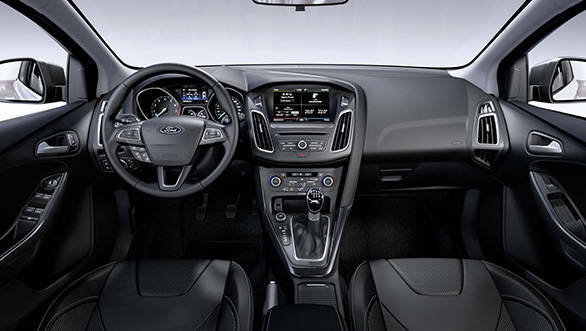 Features that come with the new version include the next installment of Ford's acclaimed in-car connectivity system called SYNC 2. It gets an 8-inch high resolution touch screen and an advanced voice control for easy access along with several other attributes. New engine options will be 1.5litre EcoBoost petrol engines in 150 and 180PS forms and 1.5litre TDCi diesel engines generating 95 and 120PS. The 1.0litre EcoBoost petrol engine capable of 100 and 125PS will also be available with an improved emission figure of only 99g/km. Two new transmission options will be available from next year. First will be a PowerShift automatic box with a 120PS 1.5litre diesel engine giving a claimed 19 per cent more fuel economy over the previous version. The next one is the 1.0-litre EcoBoost engine with automatic transmission which company says will offer 17 per cent improvement over its predecessor. Paddle shifters are also optional on all models. The latest Focus also gets technologies like Perpendicular Parking technology, improved Active City Stop, Adaptive Front Lighting System and Door Edge Protector. The latter is a useful function and it provides an accidental buffer by extending a protective flap that covers the door edge a split second before it is opened. Driving dynamics are further enhanced with stiffer front end, revised suspension, retuned shock absorbers, electric power assist steering and new ESP. 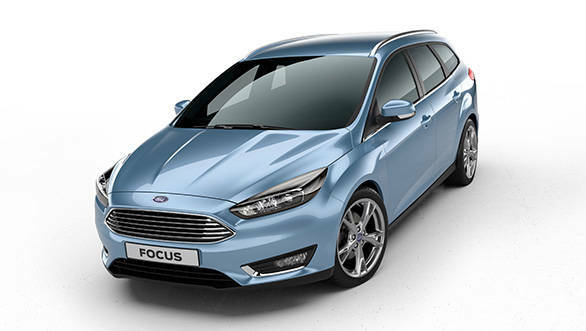 The new Focus will go on sale from the second half of 2014 in UK. Prices have not been revealed yet.